Build a home greenhouse for under $20, Part II. 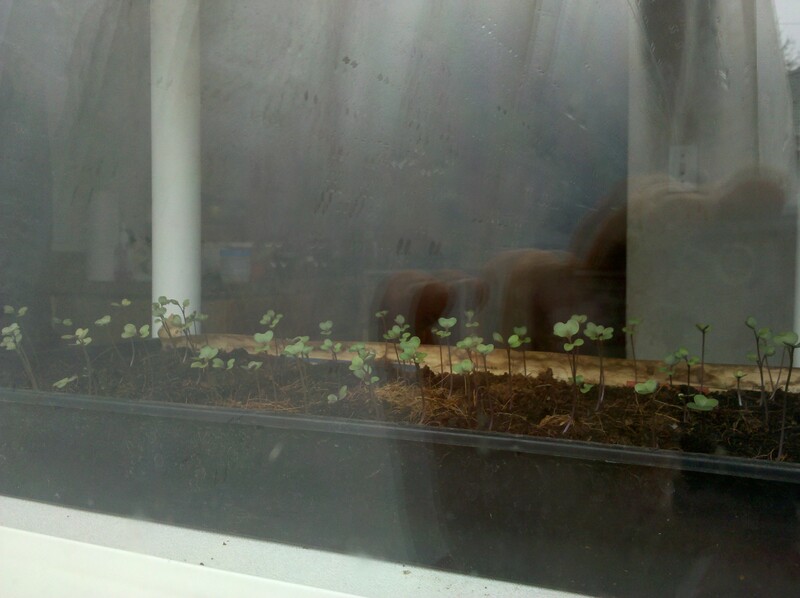 Even though it’s 12 degrees outside, we’re moving right along with the springtime planting. Now, my kitchen is also full of soil! Here’s what my setup looks like. 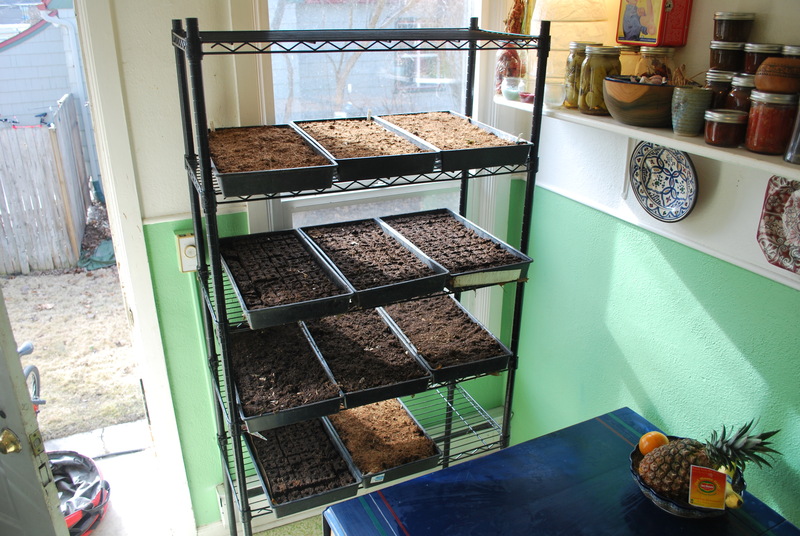 It requires a little rearranging of furniture, but allows me to germinate 18 flats at a time, even in my tiny kitchen. The shelf sits against a south facing window, has a heater under it that’s already part of the wall, and could be made even warmer by covering it with plastic. 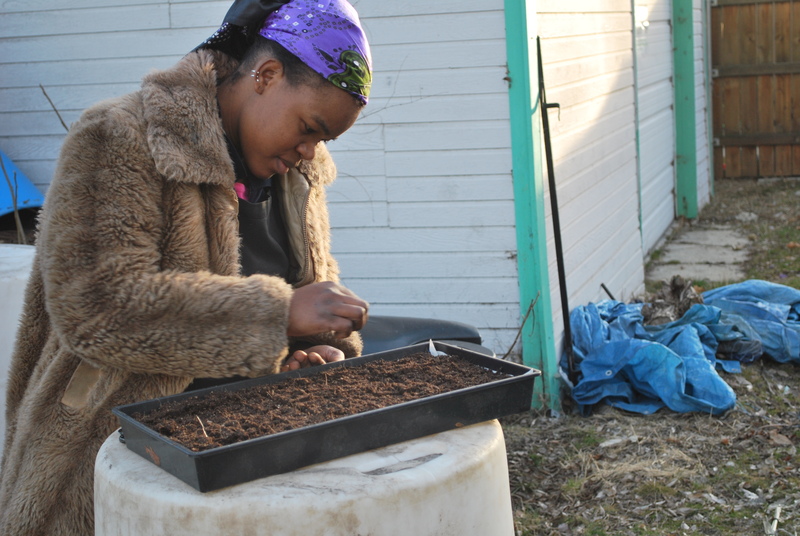 We’re making progress with the Global Gardens farmers, too. Several of the home greenhouses (described in Build a home greenhouse for under $20, part I) are finished and have plants growing in them! Here’s what a finished one looked like, set up against the wall of a home. I was surprised how nice and roomy they turned out inside! Putting the plastic on was also much easier than I expected. 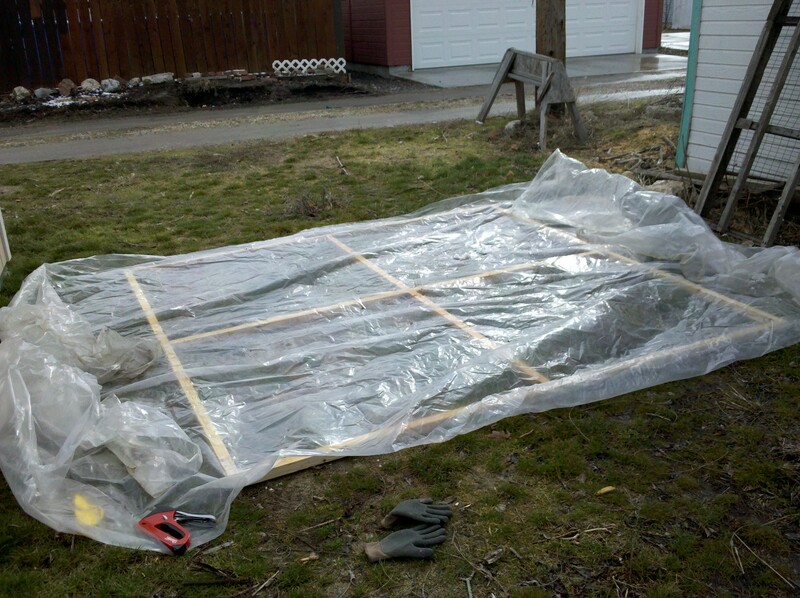 Even though I did it on a mildly windy day, it was fairly easy to just lay the frame flat on the ground, lay the plastic over it, and staple it tightly onto the frame. I used clear plastic tape to reinforce the plastic where I was putting the staples, as I expect these to see some wear and tear. I started in the top two corners and then pulled the plastic taut to the middle corners, then the bottom ones, and then went back and secured it with more staples on the middle part of the beams. Voila, greenhouses for the masses. If you’ve tried this, please, send a photo and let us know how it worked! 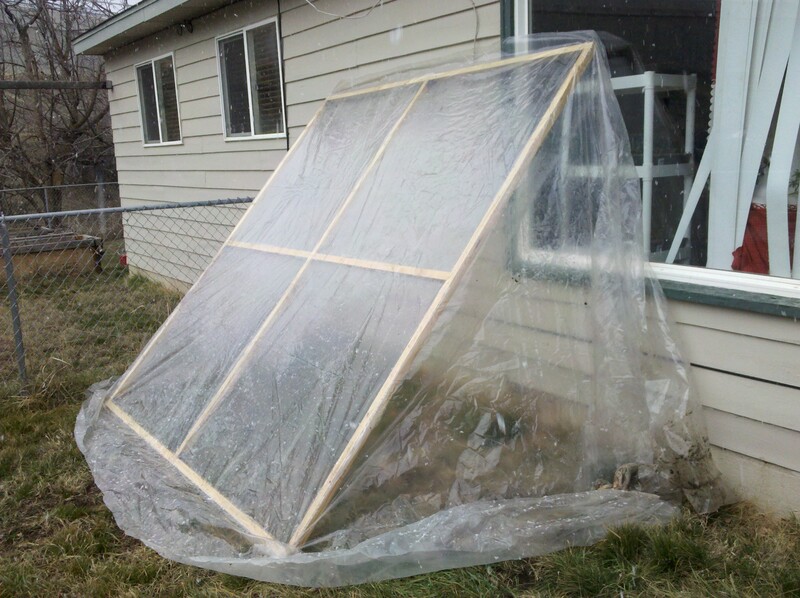 Tags: build a greenhouse, home greenhouse, recycled plastic, starting seeds. Bookmark the permalink.